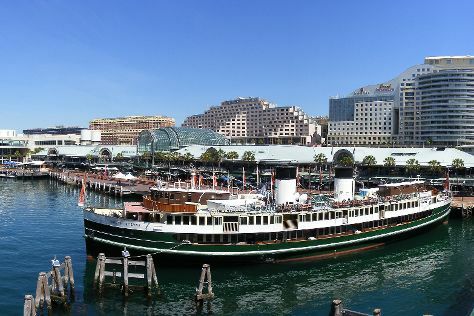 Get some cultural insight at Australian National Maritime Museum and Darling Harbour. Take a break from the city and head to Dolphin & Whale Watching and Manly Beach. You'll find plenty of places to visit near Sydney: Norman Lindsay Gallery & Museum (in Faulconbridge), Wentworth Falls (in Katoomba) and Blue Mountains National Park (The National Pass & Pulpit Rock Lookout). Spend the 1st (Sun) wandering through the wild on a nature and wildlife tour. Next up on the itinerary: see a show at Sydney Opera House, take in nature's colorful creations at Royal Botanic Garden Sydney, admire the masterpieces at Art Gallery of New South Wales, and make a trip to Sydney Harbour Bridge. For ratings, more things to do, and tourist information, refer to the Sydney tour itinerary planner . August in Sydney sees daily highs of 22°C and lows of 11°C at night. Finish your sightseeing early on the 2nd (Mon) to allow enough time to travel back home.